These products are the jump-off aka the greatest things ev-ur. If you personally know me, you know that I love coconut as an ingredient for all things beauty. 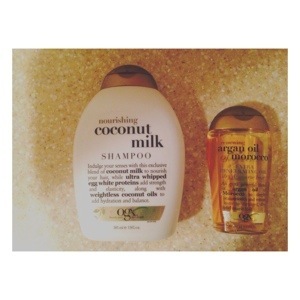 This shampoo which includes egg whites AND coconut milk is wonderful. Also, the argan oil is….it’s just, ugh, I have no words. Perfection. You can find these items at any local supermarket/pharmacy. Try and enjoy! You’ll thank me later.